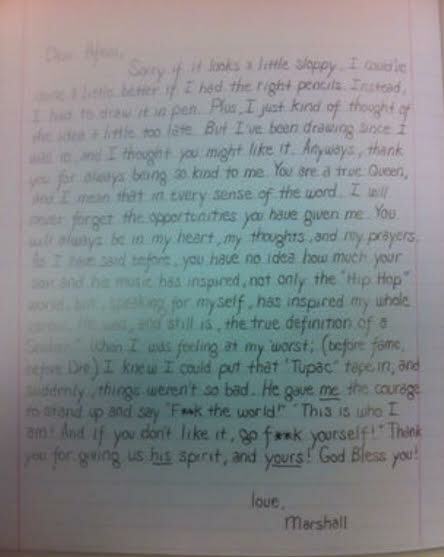 Eminem Pens Sentimental Letter to Tupac's Mother - Ooooooo La La! 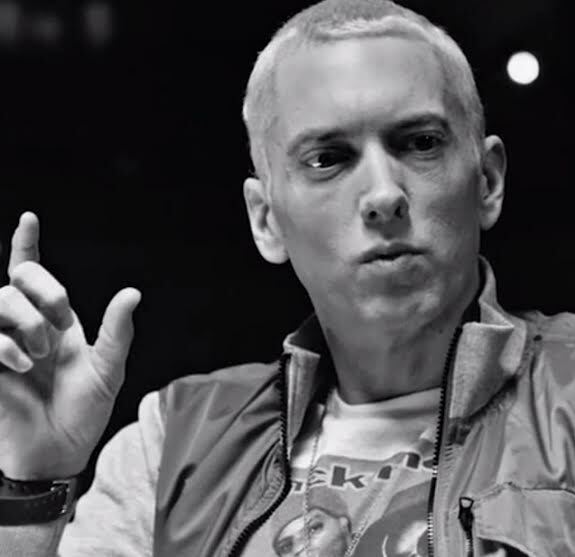 Eminem is revealing how much the late, great rapper Tupac has inspired him. The 42-year-old rapper penned a handwritten, sentimental letter to Tupac's mother, Afeni Shakur, where he calls her a "true queen." Em also expresses how much her son has inspired his whole career. 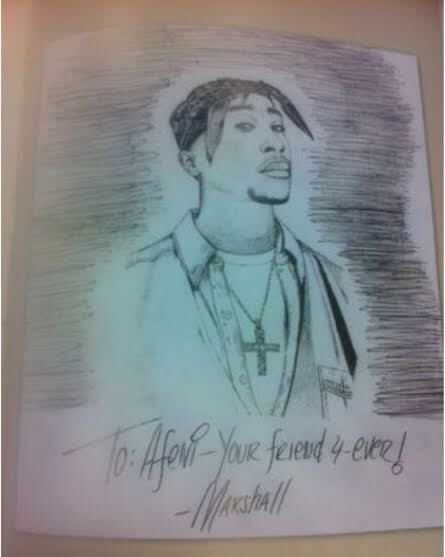 Although both the sketch and letter appeared in the 2008 book Tupac Remembered, interest in the letter and drawing was recently renewed when it appeared on Reddit (via: Fader).